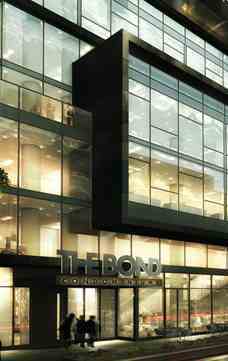 Live n Toronto’s most attractive vibrant neighbourhood, BOND Condominiums a stunning residential tower, an entertaining place that reflect the attractiveness of the city along with Festival Tower and Maple Leaf Square Condos . What is THE BOND? It's a connection, a destination, a state of mind. An iconic address in the heart of downtown, steps to the city's most celebrated culture, fashion, lifestyle and sporting landmarks. Live at the cutting edge of urban design and style. Only a block long, The Bond Condo Street has been around more or less since the inception of the city and still possesses many of its beautiful 19th century brick warehouse buildings. 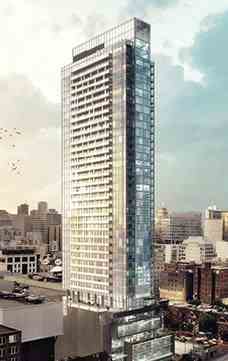 Today it is at the heart of the Entertainment District, steps from The John Street Cultural Corridor. Here you’ll find the iconic Art Gallery of Ontario and the Ontario College of Art and Design. Then there’s the historic Much Music Building, at Queen Street, which every spring becomes the site of the station’s annual music awards. Further down there’s the Scotiabank (Multiplex) theatre and the new “jewel in the crown” of the John Street Cultural Corridor, the Bell Lightbox, home of both the Toronto Film Festival and the Ontario Cinematique. Presently plans are underway to renovate John Street with a sustainable streetscape that will include new pavers, mature trees, street furniture, public art and perhaps two new urban plazas at the north and south ends of the street.